A poisoned owl was found on the doorstep of a Morgan Hill home last month and eventually died, triggering an investigation by wildlife officials. The homeowner at first thought the bloodied and dazed bird had been shot. 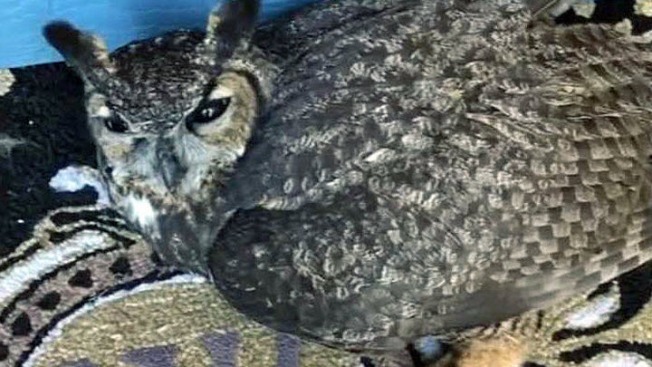 But a state Fish and Wildlife investigation revealed the owl died from eating a rodent that had been the target of extermination. "He said that the owl had tested positive for rodenticide, which is poison," said Cindy, the homeowner who found the owl. When it was discovered the owl had been poisoned, its death generated social movements to protect them and other animals from being poisoned. Officials with the Wildlife Education and Rehabilitation Center in Morgan Hill recently treated, rehabilitated and released a Great Horned owl back into the wild. They said the owls are native to the area. "When you’re introducing a poison into the ecosystem, you’re not only affecting that animal they’re ... targeting with the bait, but it’s also going to cascade down the ecosystem, the food web," WERC Director Ashley Quick said. WERC says many wildlife groups across the state are trying to get laws to protect animals from being poisoned by this chain, including an ordinance being developed in Morgan Hill. "More and more cases are being discovered, with anti coagulant rodenticide poisoning in our local birds of prey and our local mountain lions and bobcats," WERC President Joy Joyner said. “What we’re trying to do is create an initiative to educate the population on other humane ways to solve this problem."